I’ve always liked giraffes. I had been taught that giraffes are one of two living species (the other being the okapi) of the family Giraffidae which had evolved from palaeomerycids during the early part of the Miocene epoch. I was taught that they are even-toed ungulate mammals and were herbivores to boot. I was taught that they definitely did not dance. Well I didn’t really know know it but I had suspected as much. 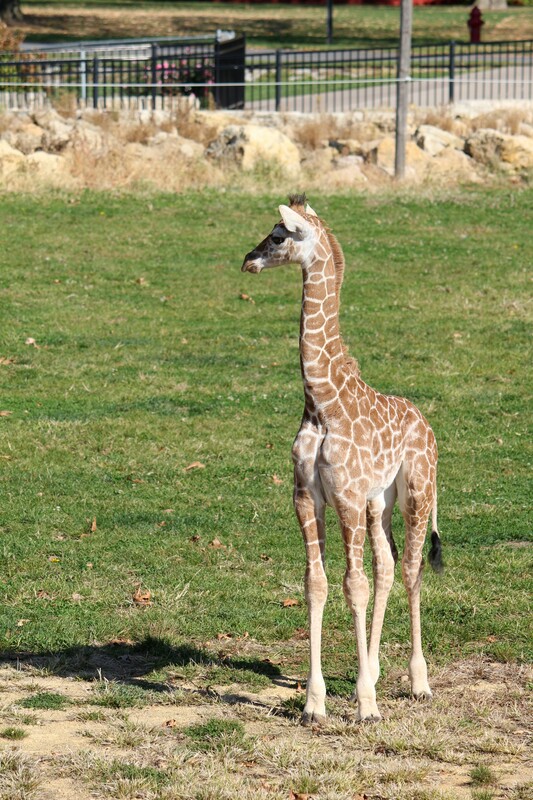 Imagine my delight when we went to the zoo and the baby giraffe was out. She and her mother were kept out of the public eye until a few weeks ago. She is 14 months old, is 6 foot tall, weighs 105 lbs and is already proficient in tap and jazz. She will eventually reach 16 feet and weigh approximately 2500 lbs. 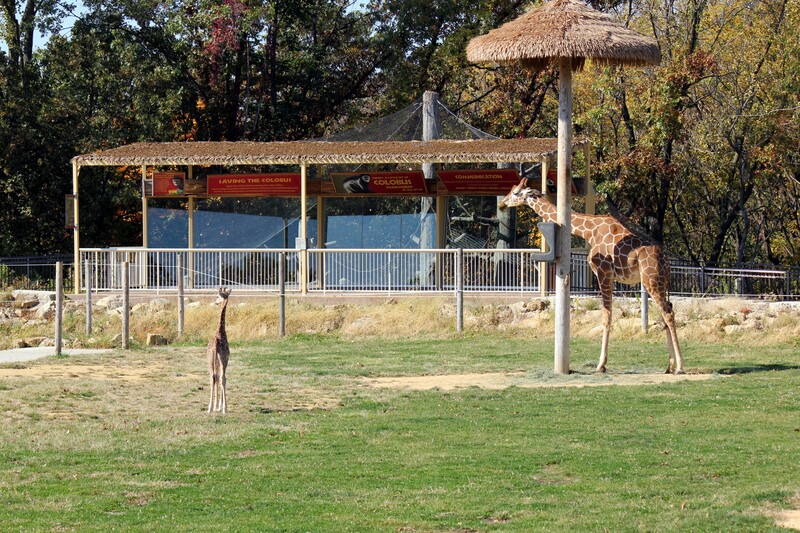 She looks tiny compared to the other giraffes. She’s such a doll. She pretty stayed in the same spot for about 20 minutes, then she went over to the fence and tried to nibble on it. The poor thing learned the hard way that the fence is electrified. She wasn’t hurt but she was very confused. She went right back to her spot and stood there looking at the fence to see what else it would do. You can see how tiny she looks in this photo. Here’s Mom. She’s lovely isn’t she. There was also a young mountain goat out and about. 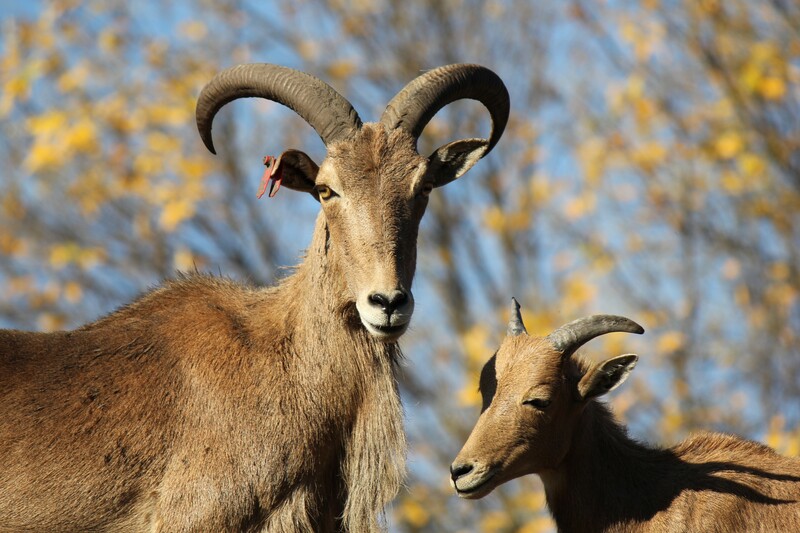 Unlike giraffes, mountain goats do not dance. They do have lovely singing voices though. This is a mini ( ATC /ACEO) in acrylic. It measures 2.5 by 3.5 inches. 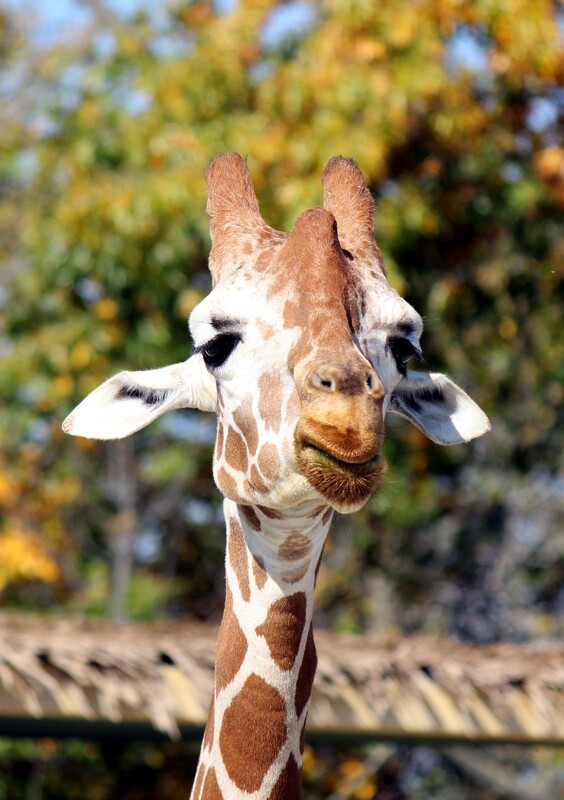 The mother giraffe’s head shot reminds me of Jerome from The Friendly Giant. Nice picture sis. It does, doesn’t it! I was looking at Youtube videos of the Friendly Giant. He was great. What a pleasure to see! Thank you … again! Thank you! I had so much fun I had to share. Let me get this straight. The baby giraffe is already taller than me and weighs LESS than me. I am not pleased. 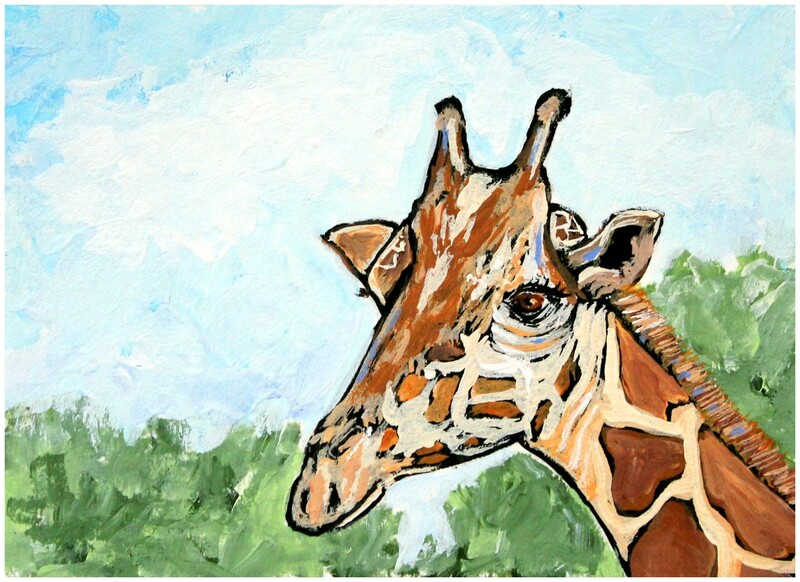 I WOULD say I like your painting of the giraffe, but then I am reminded of my niece who at a tender age said she liked giraffes and then spent the next 20 years or so getting giraffe jewelry, posters, outfits with giraffes on them, giraffe notebooks. You name it, she got it. So I’m not saying anything. No way, no how. I know eh. She’s like the Kate Moss of giraffes. But prettier. You’re quite a photographer. I’m a tad jealous. I made a C in photography and I think the ole geezer was being nice for a change but still…I see the zoo got you plenty inspired. I love giraffes too, by the way. They’re so graceful. Thanks. I’m still trying to figure out what all the buttons and stuff are on this camera. It’s amazing how many buttons there are! I have to keep looking up stuff. Thanks! Giraffes just make me laugh, they’re an easy subject. Thanks for posting on my art blog! This blog of your has to be one of the happiest places on the internet – lovely sense of humor and great photos, too! Man, there’s all sorts of fun stuff out there in South Dakota, despite the lack of trees to hide behind, of course! Thanks! 😀 I love you blog, your work is just gorgeous.